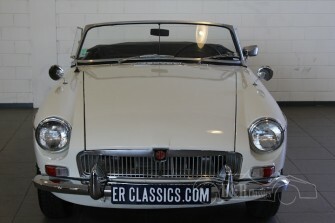 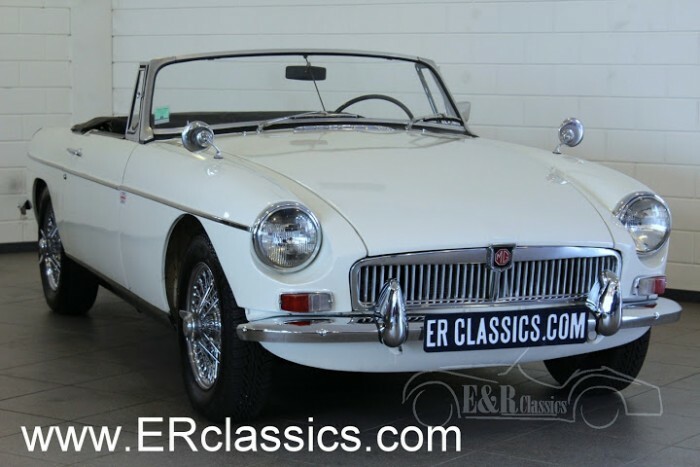 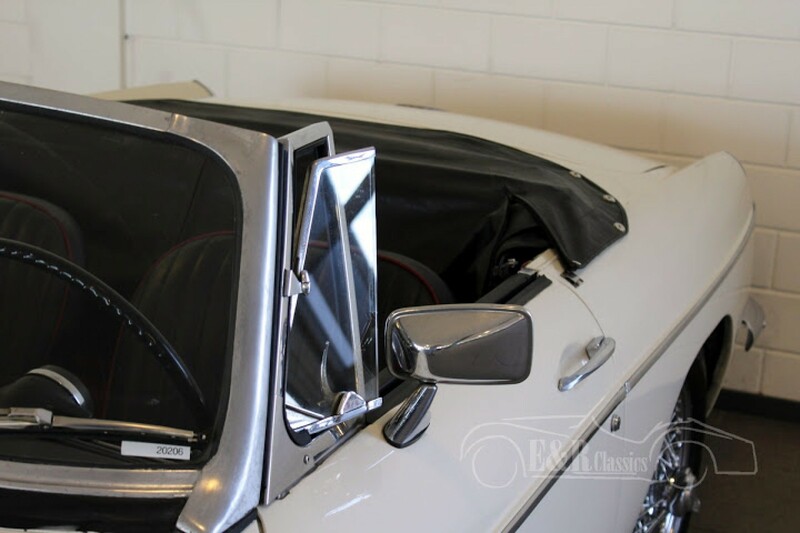 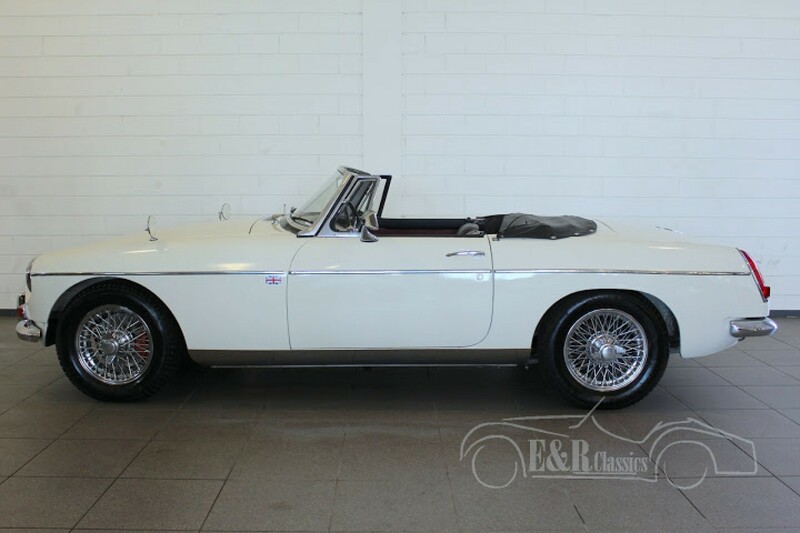 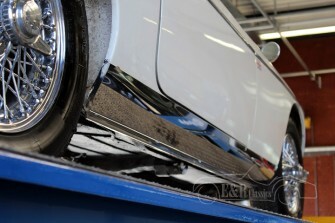 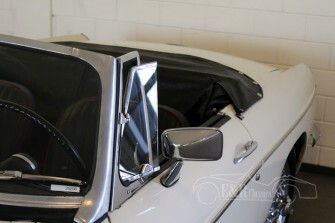 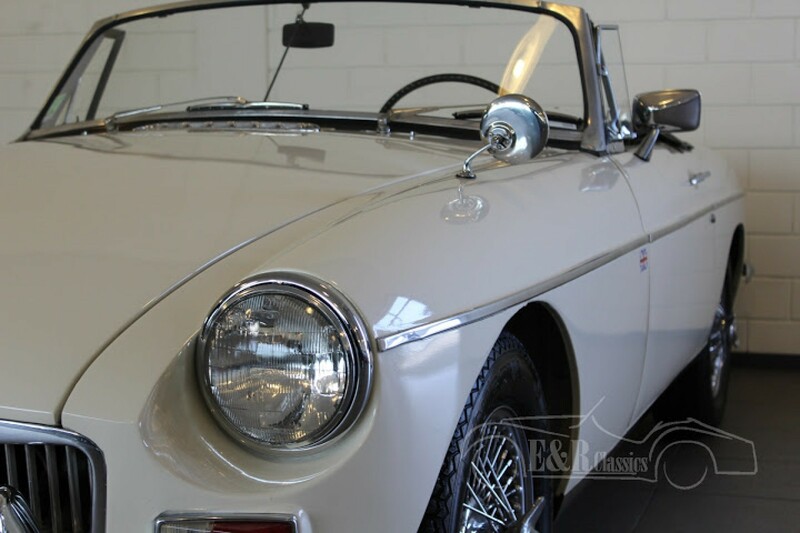 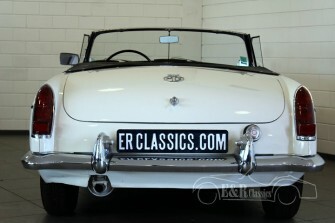 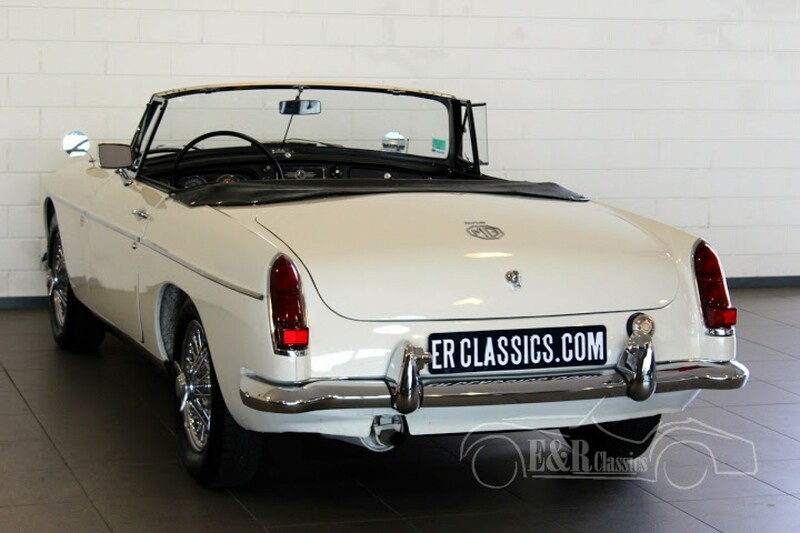 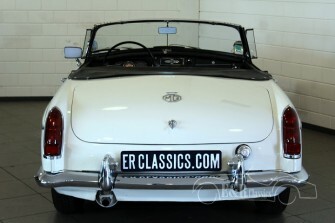 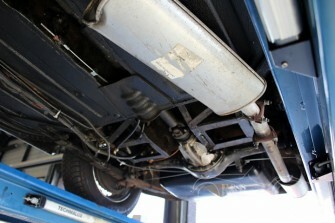 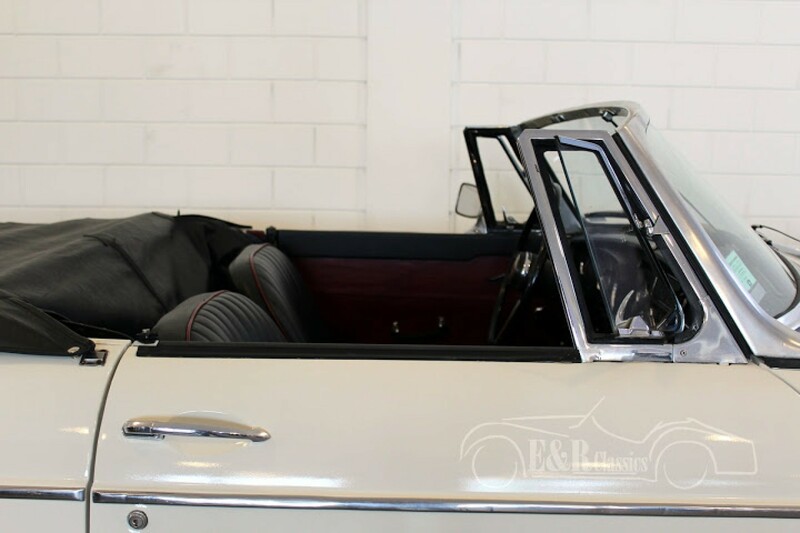 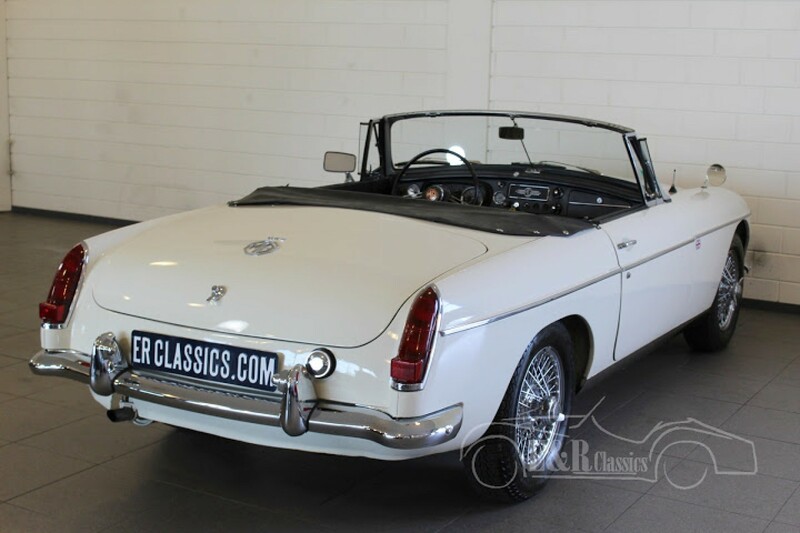 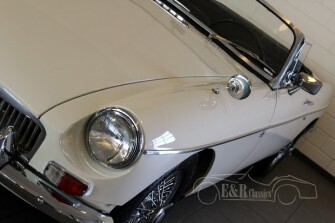 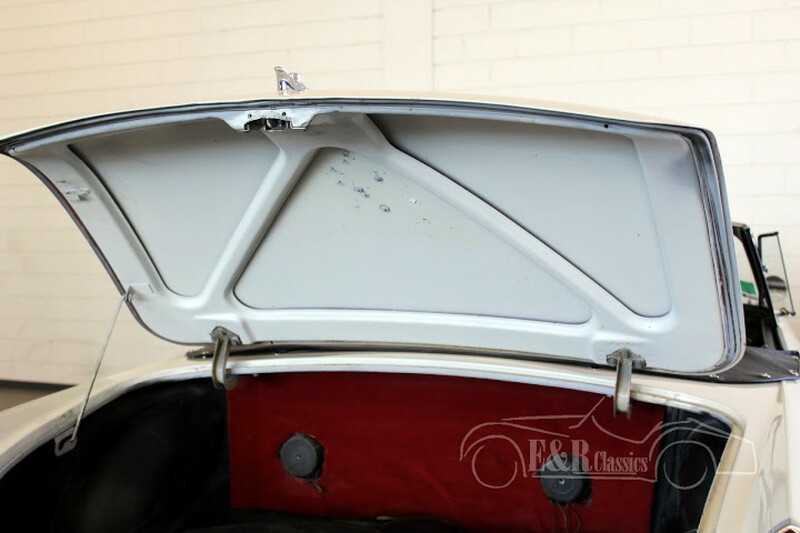 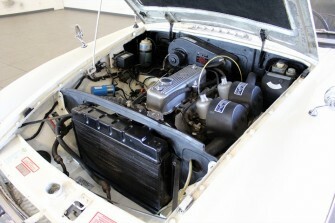 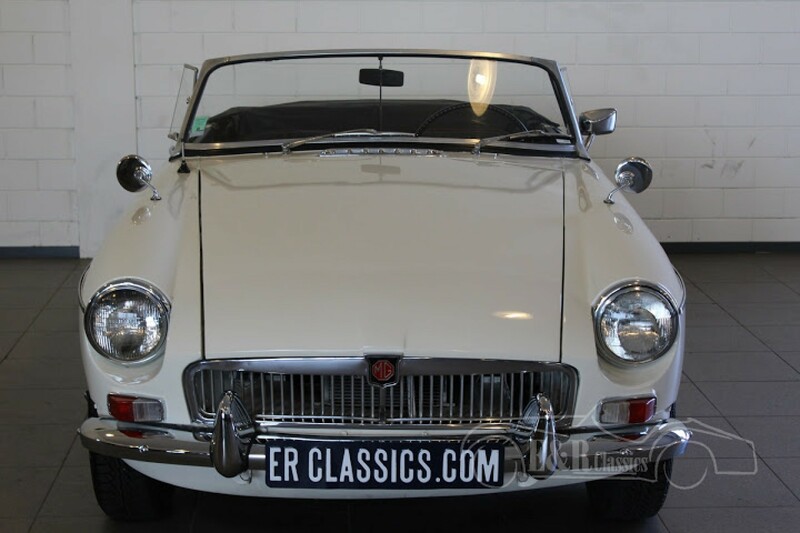 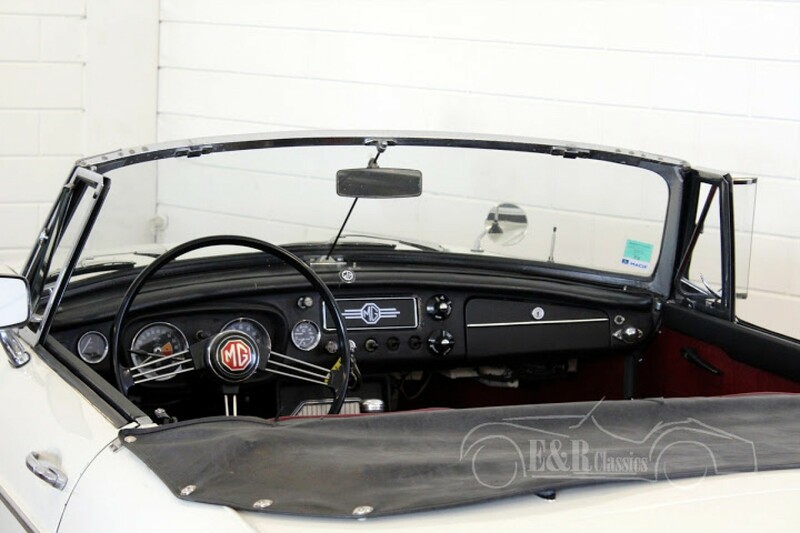 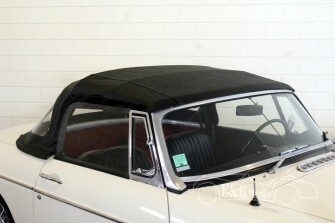 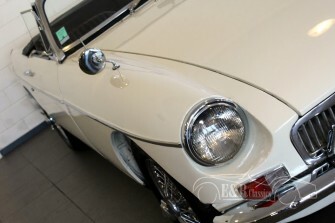 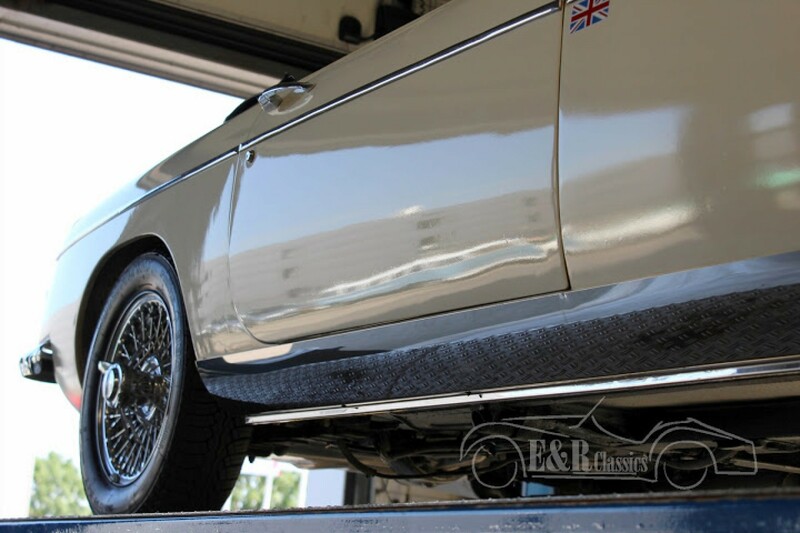 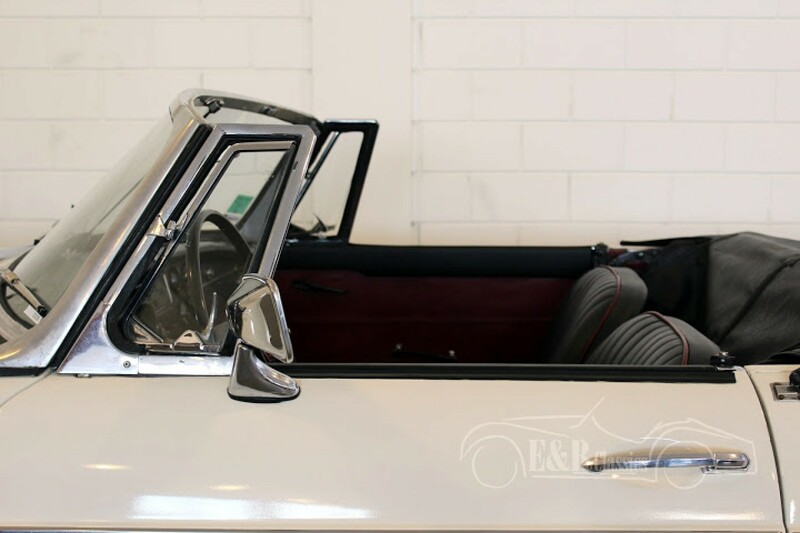 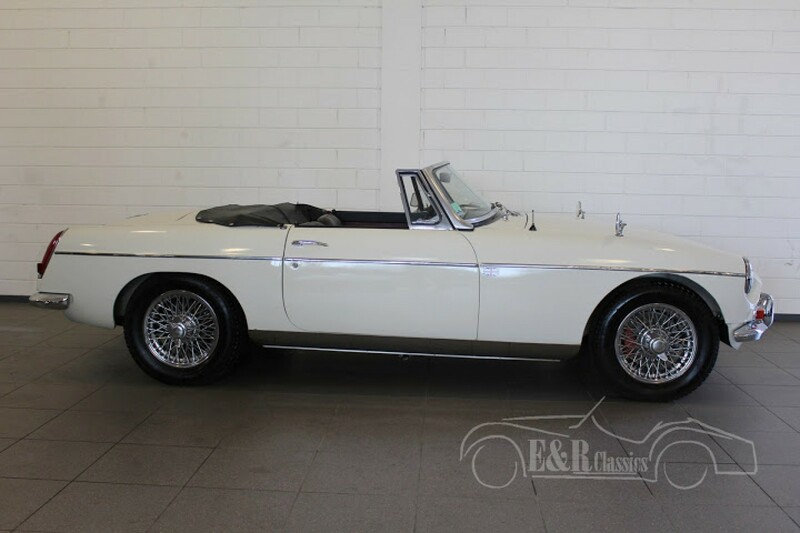 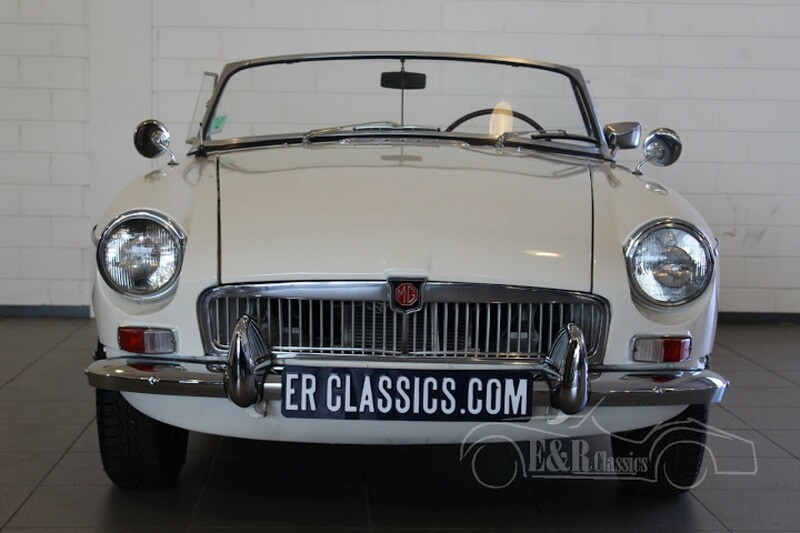 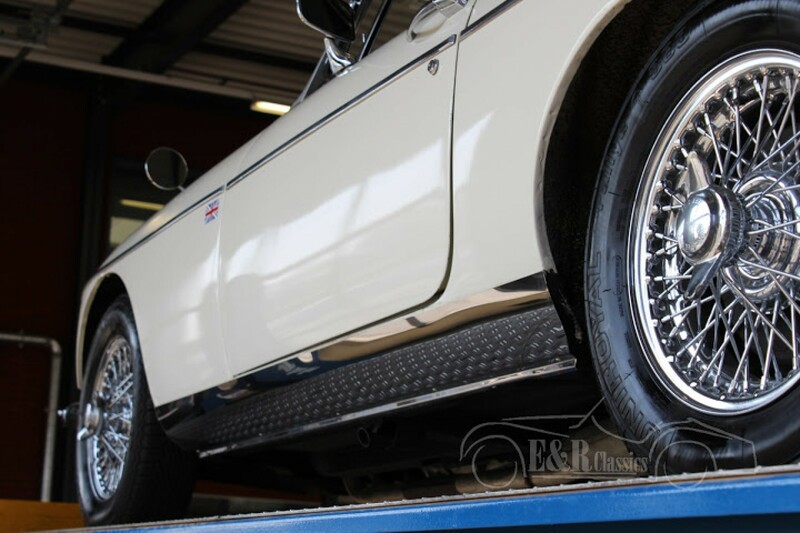 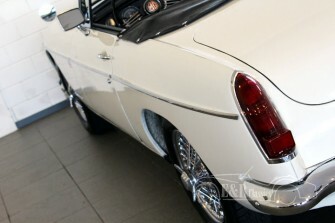 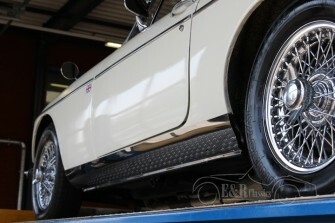 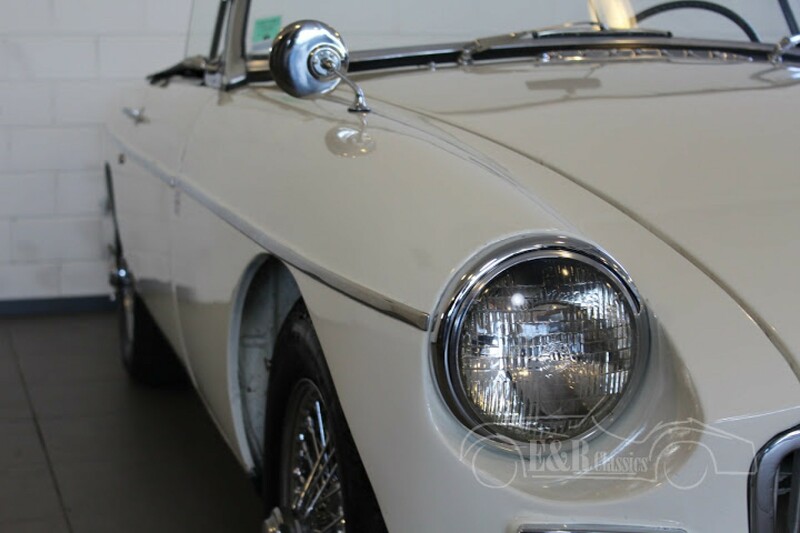 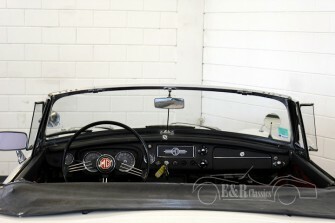 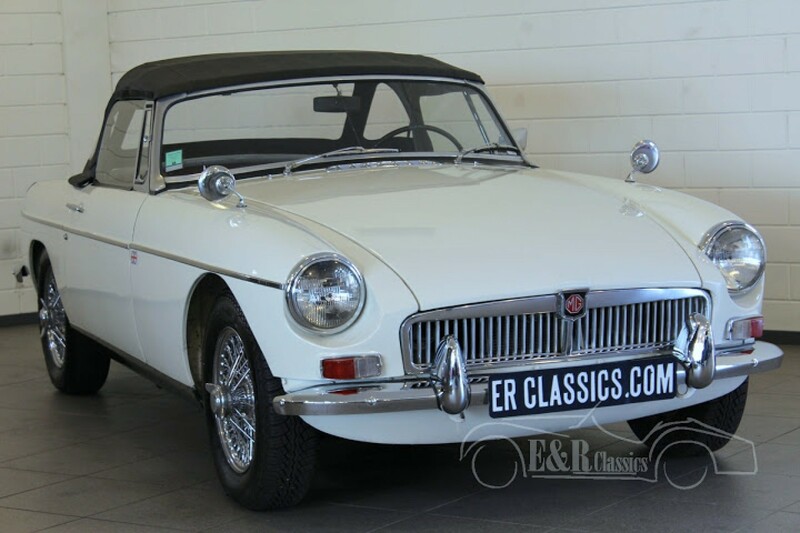 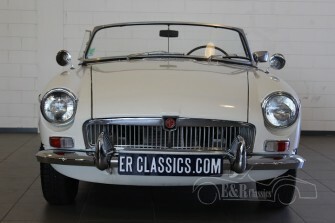 1967 MGB convertible in a beautiful and well maintained condition. 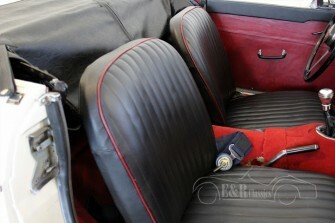 Paint in colour Old English White in combination with black interieur with red piping. 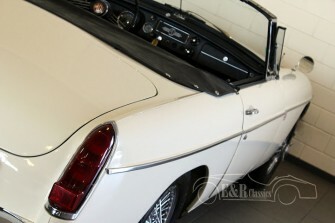 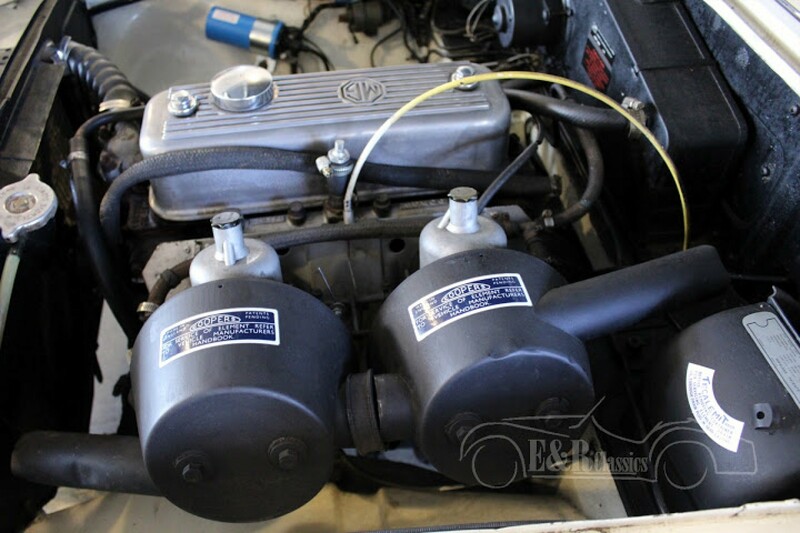 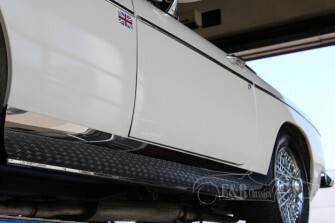 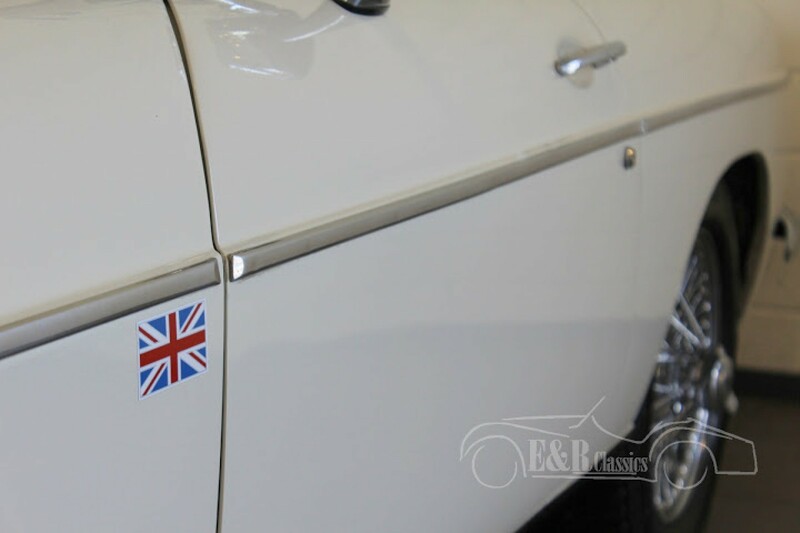 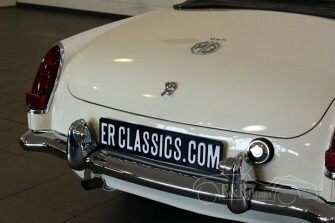 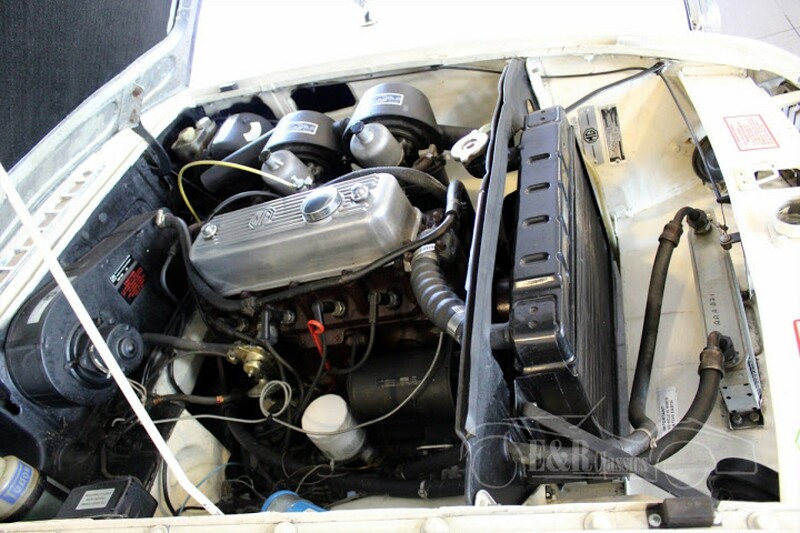 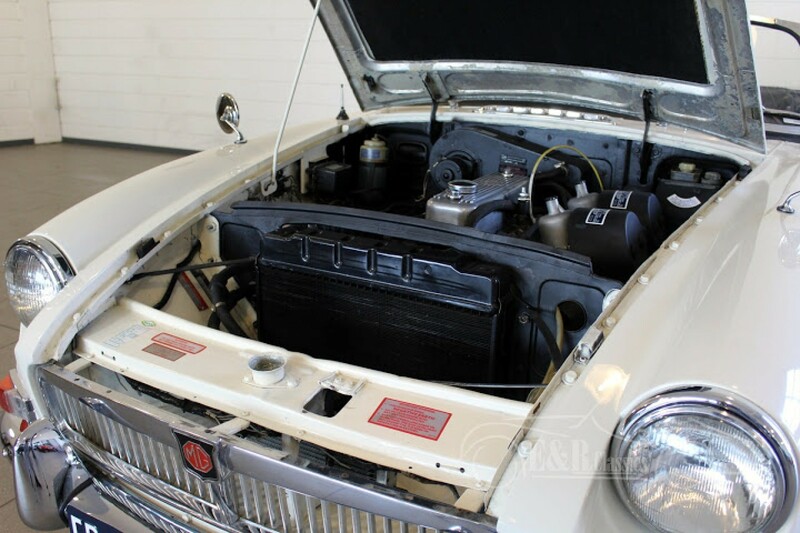 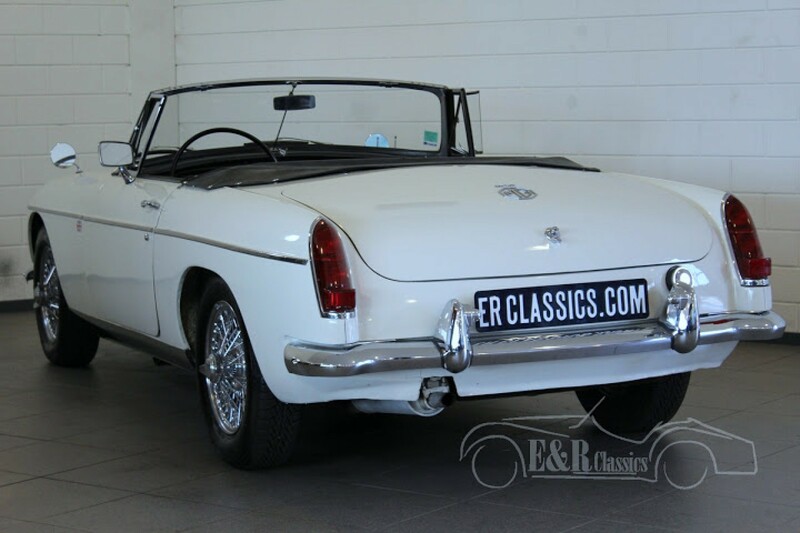 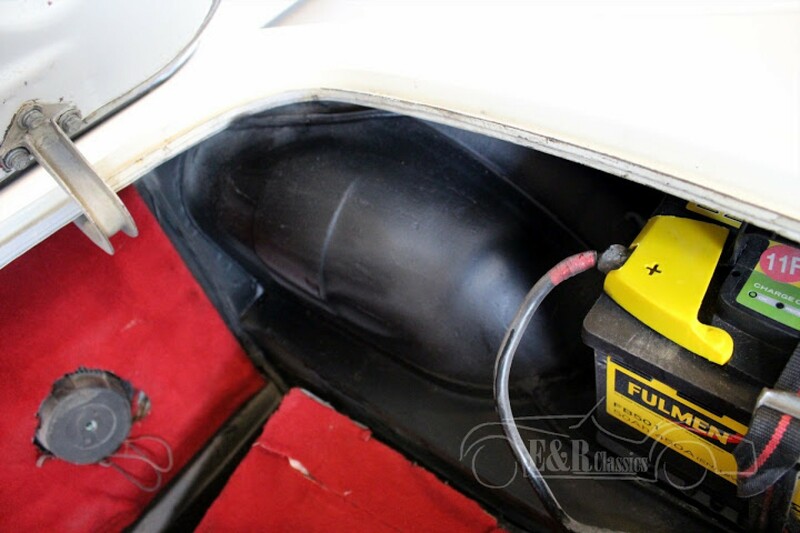 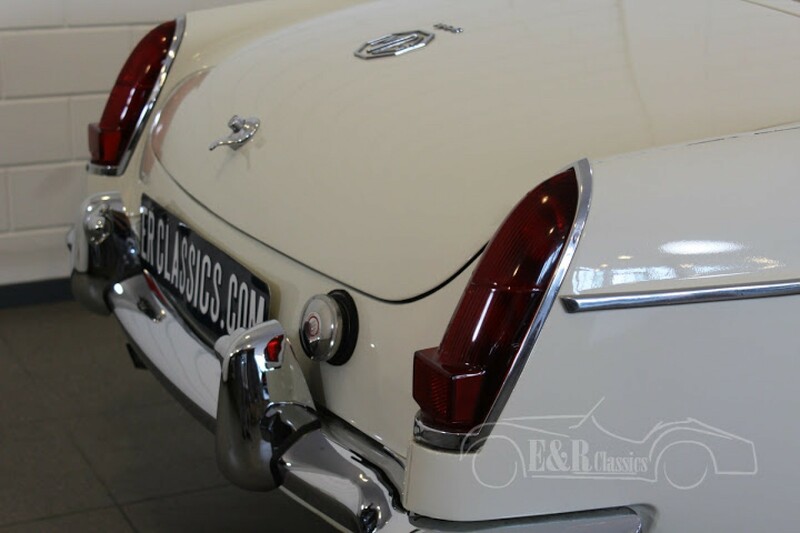 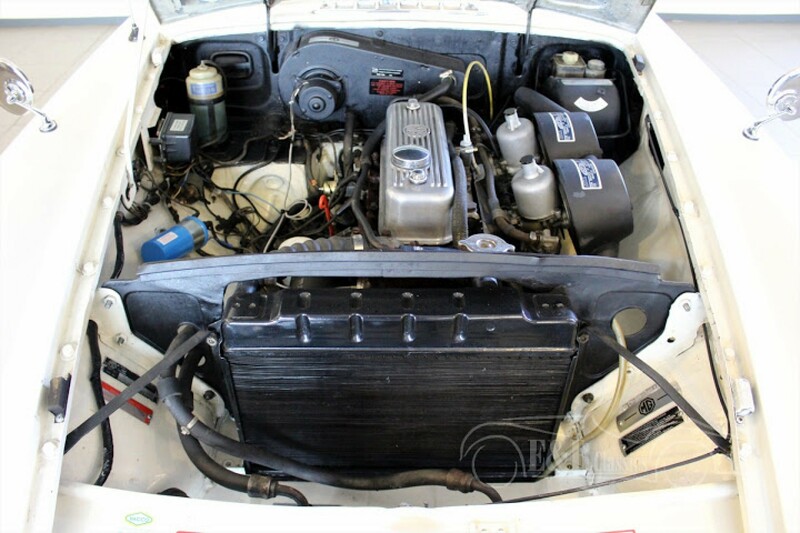 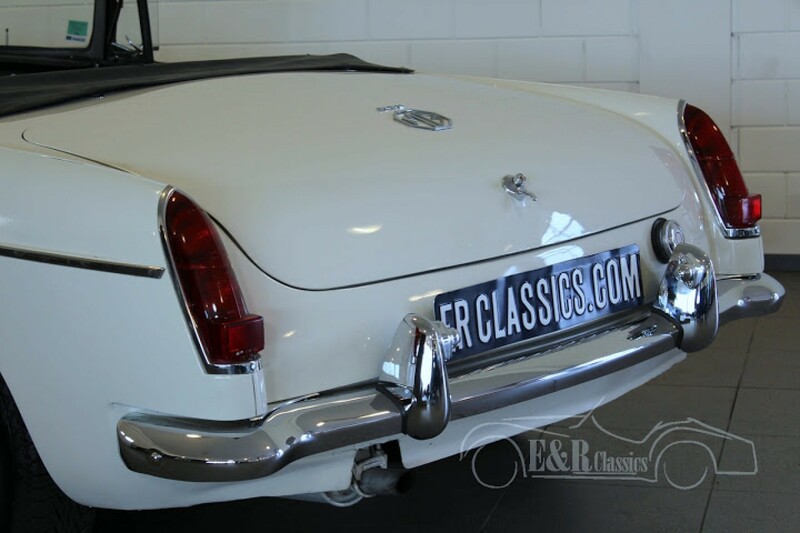 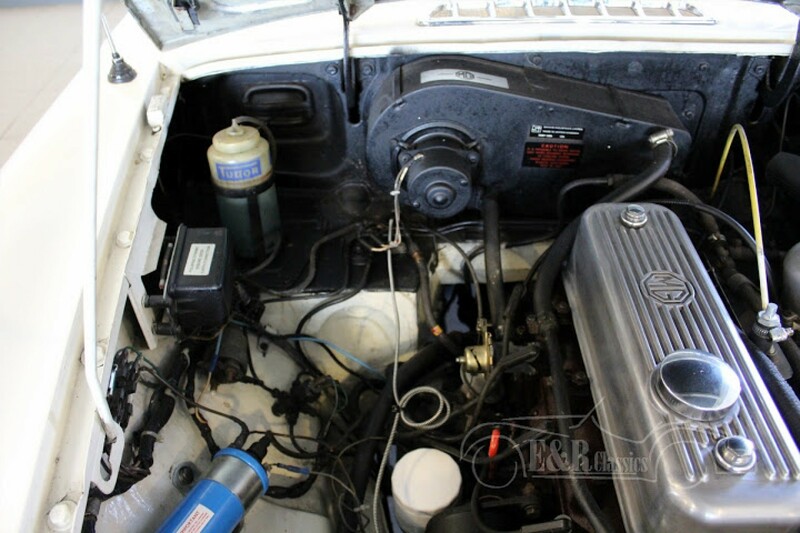 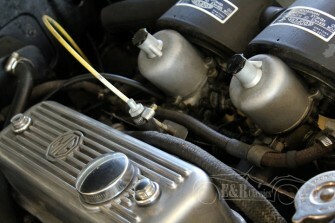 This fabulous driving MGB has the original 1798 cc 96 hp engine. 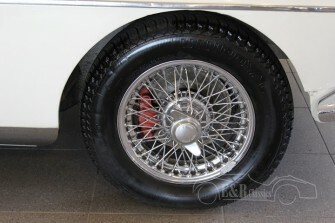 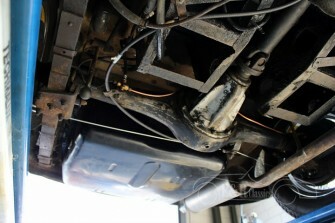 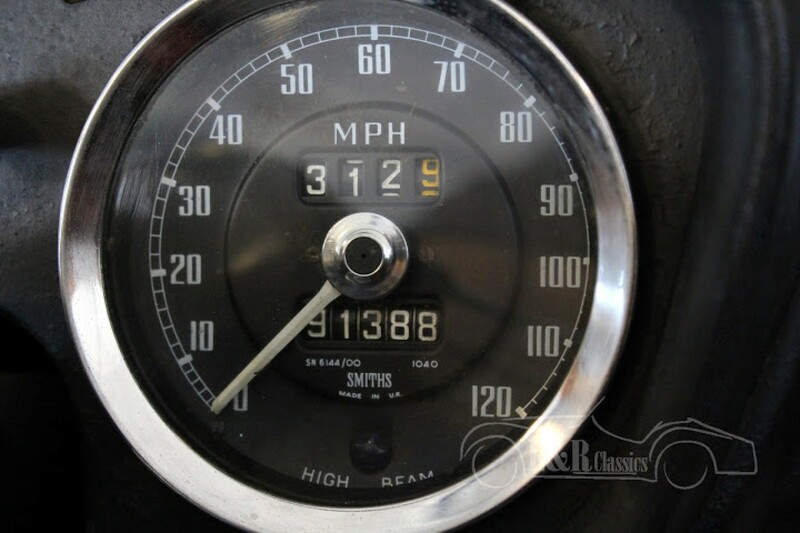 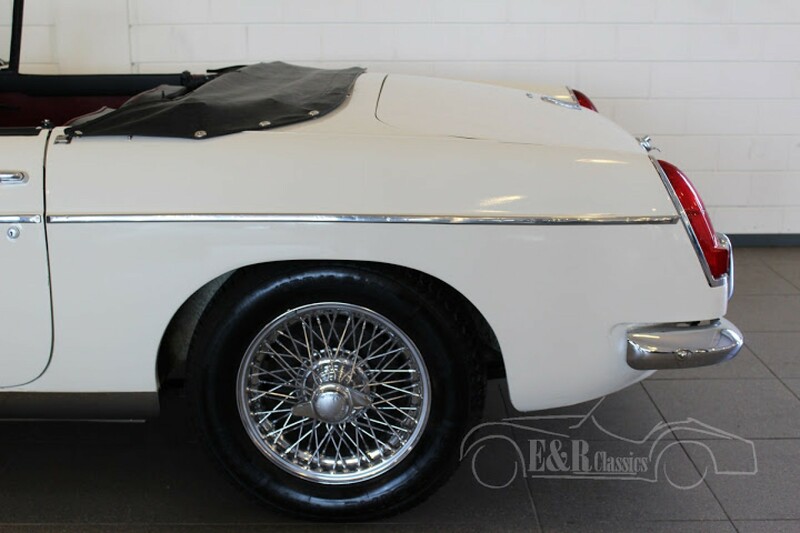 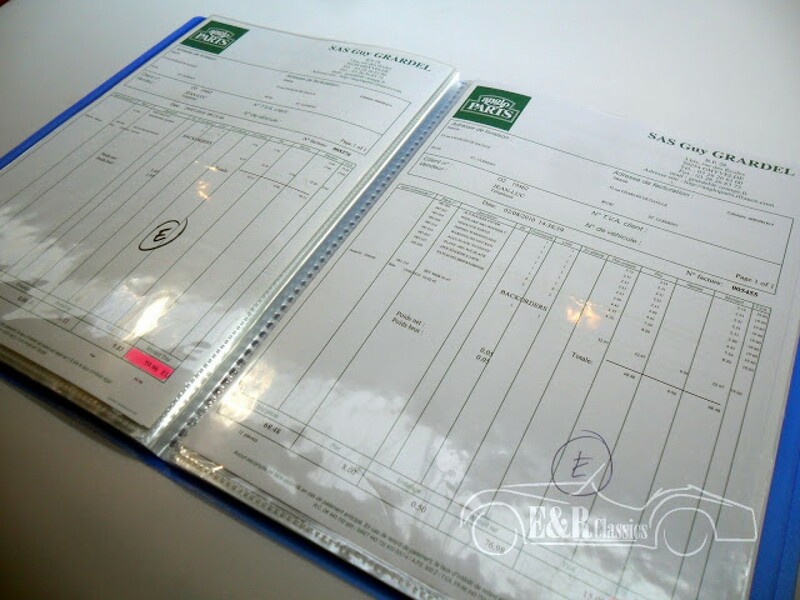 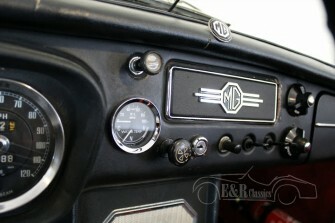 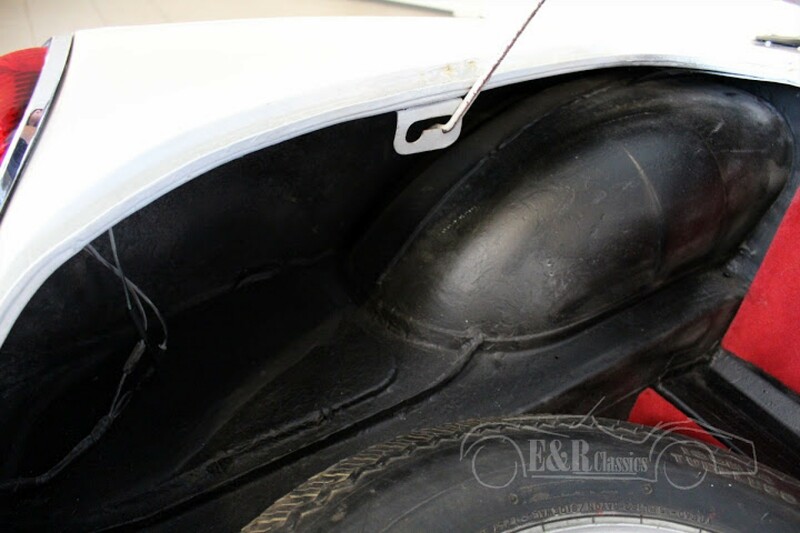 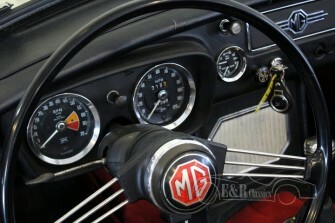 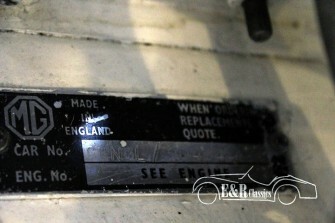 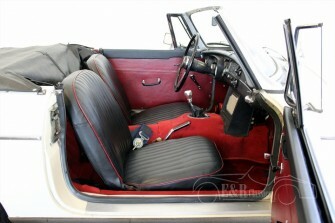 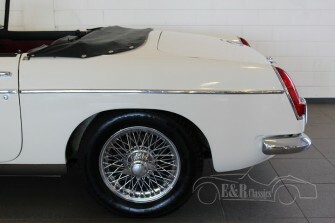 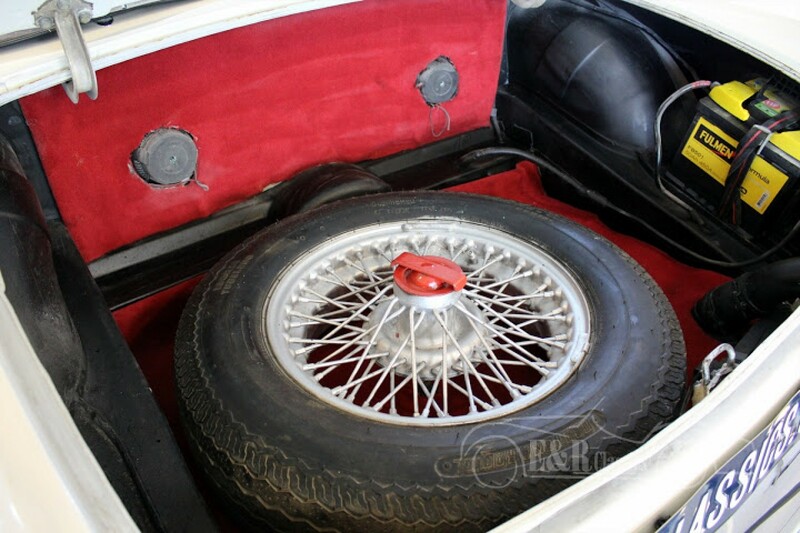 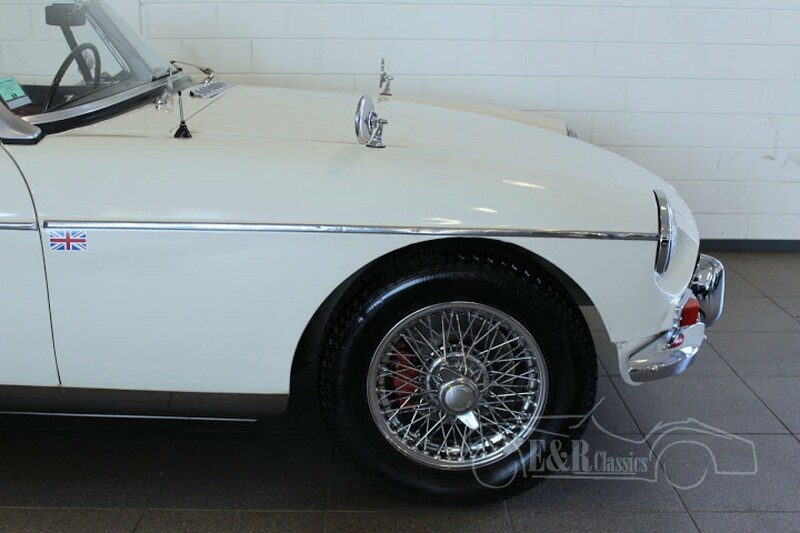 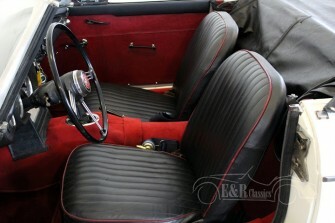 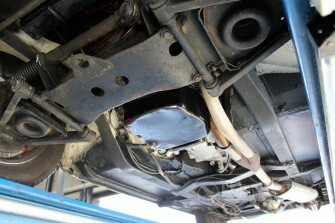 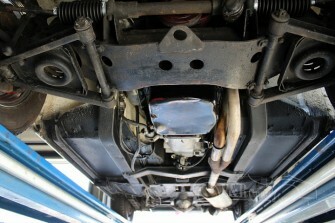 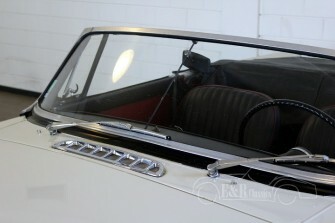 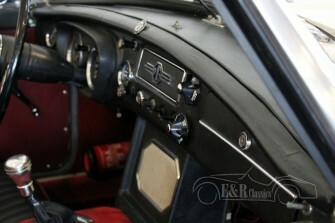 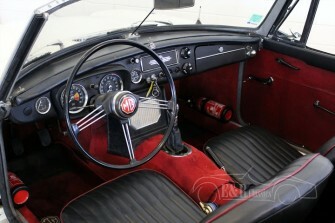 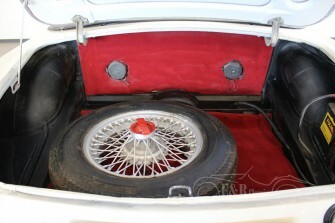 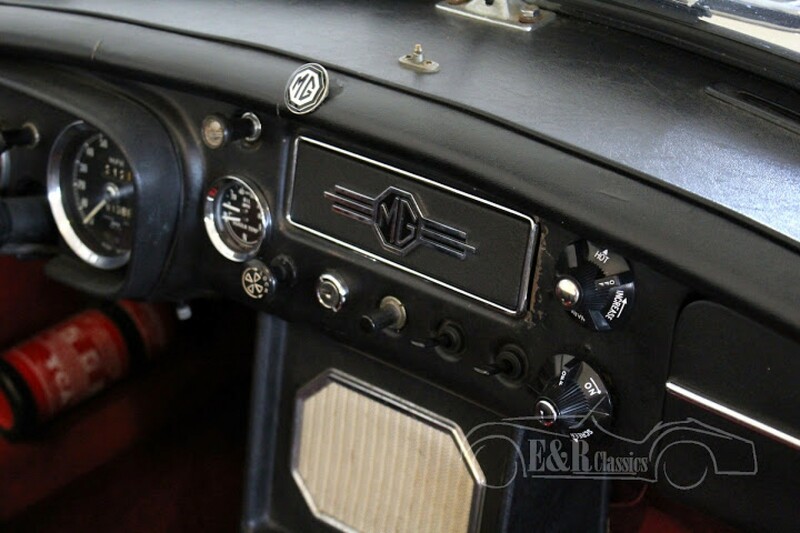 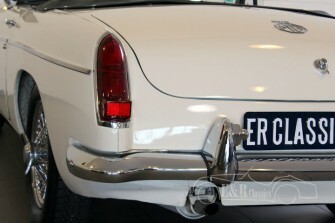 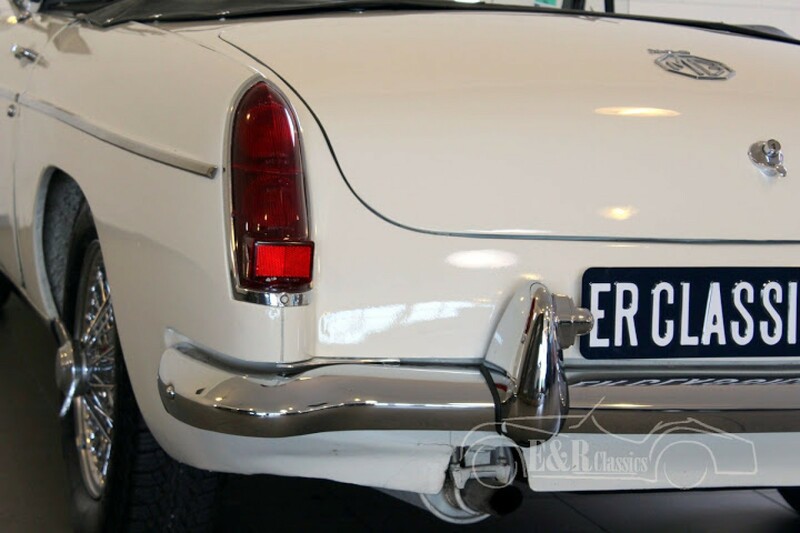 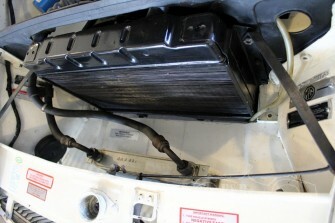 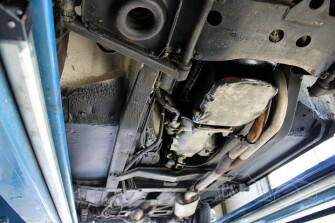 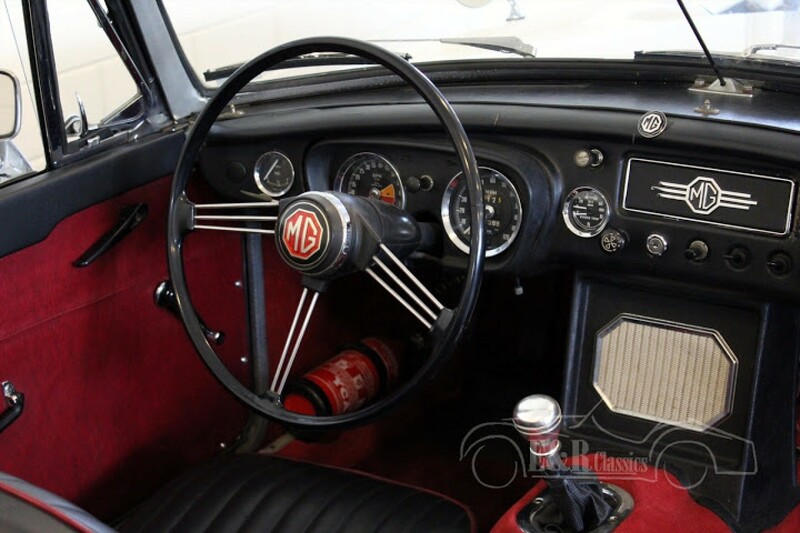 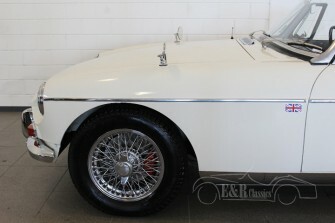 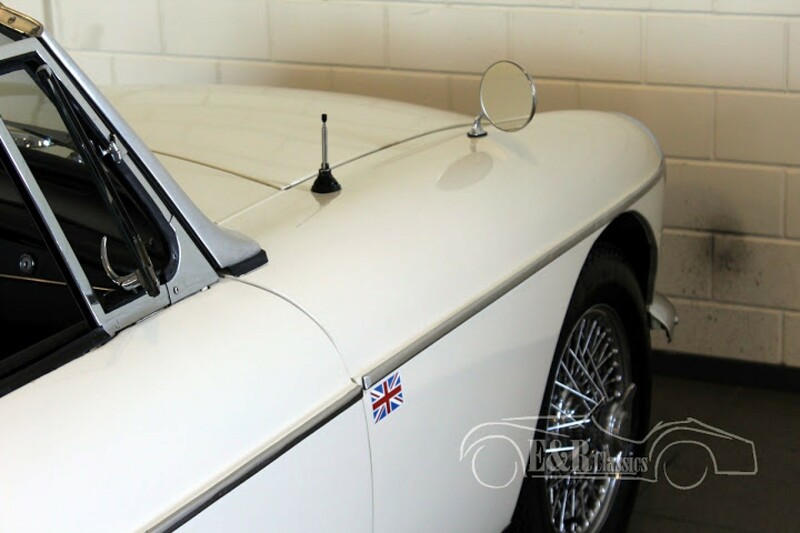 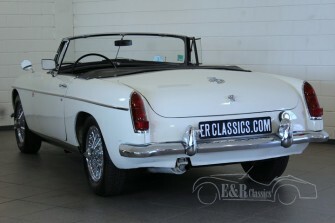 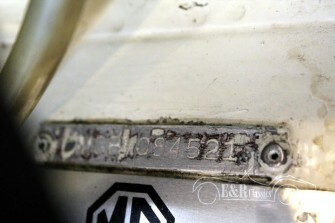 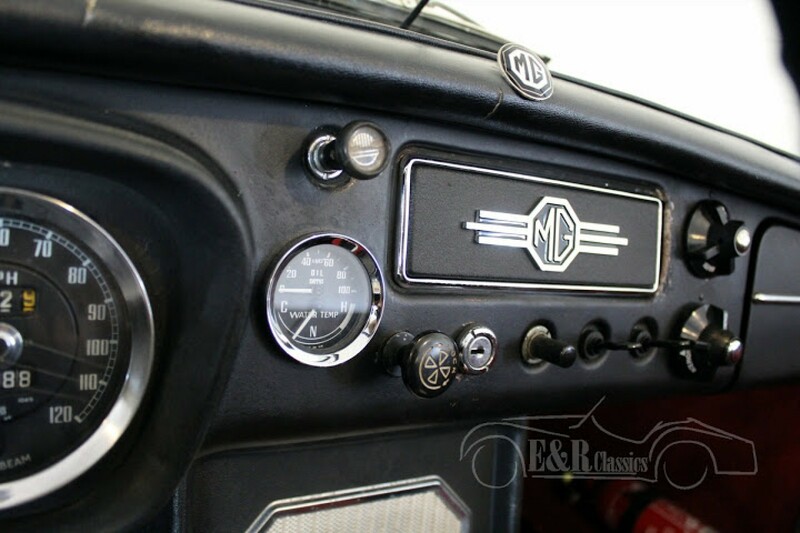 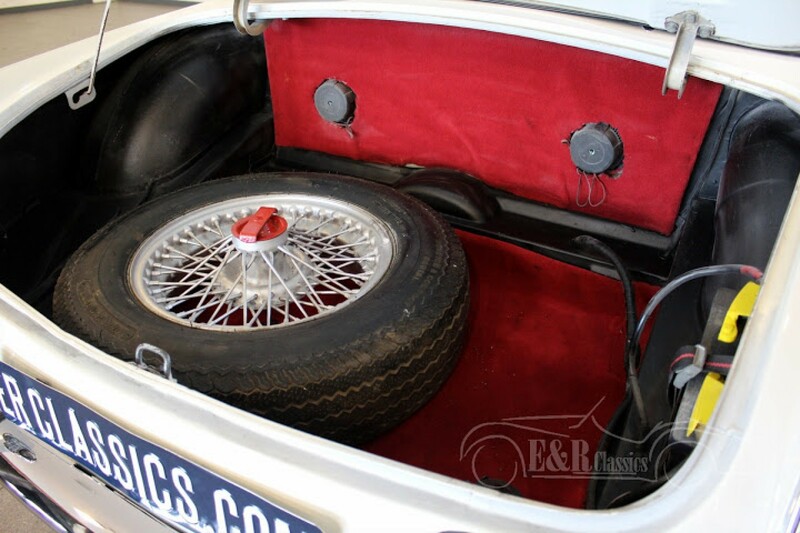 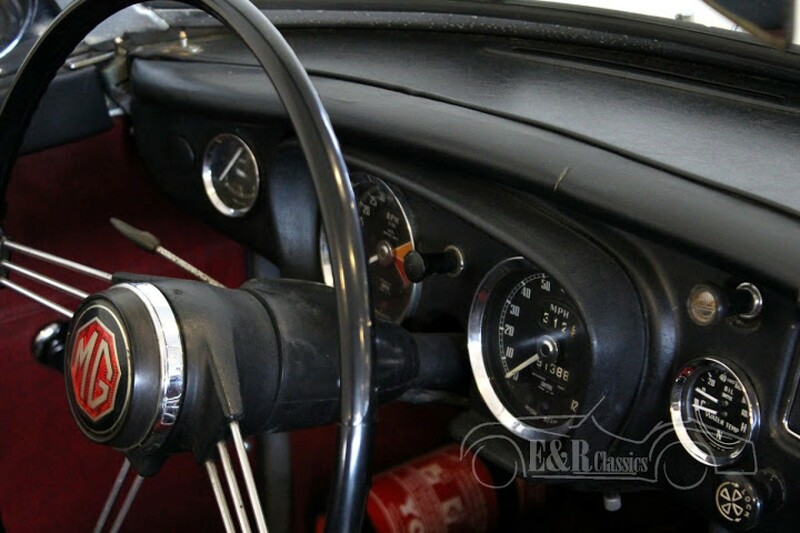 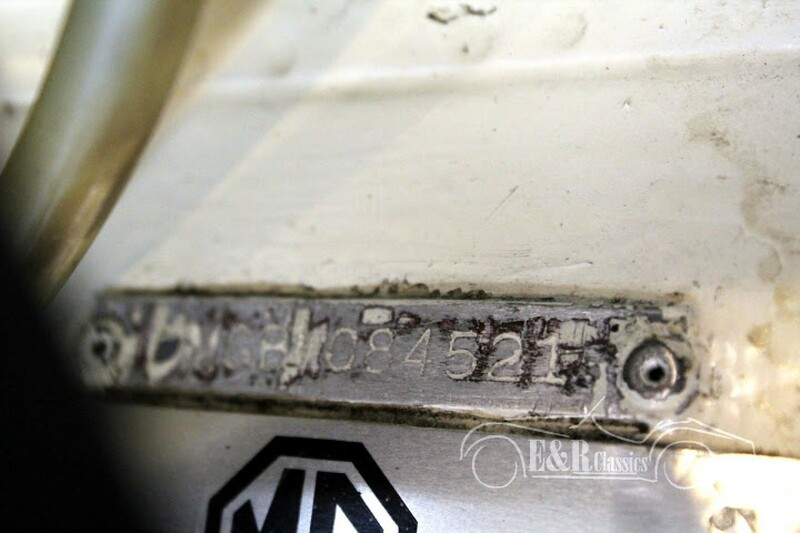 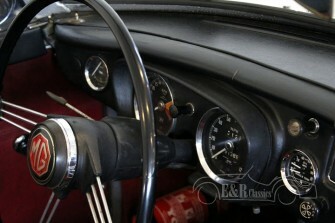 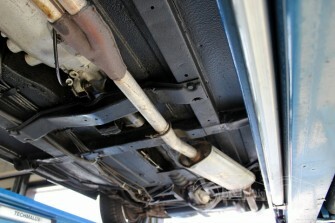 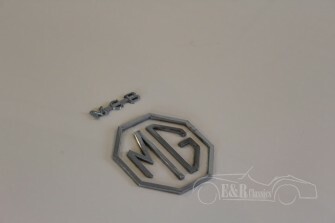 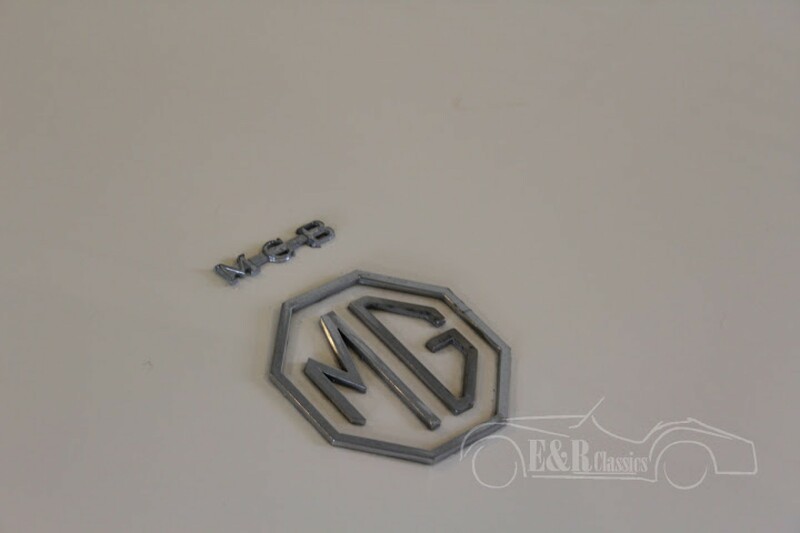 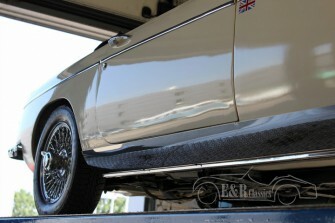 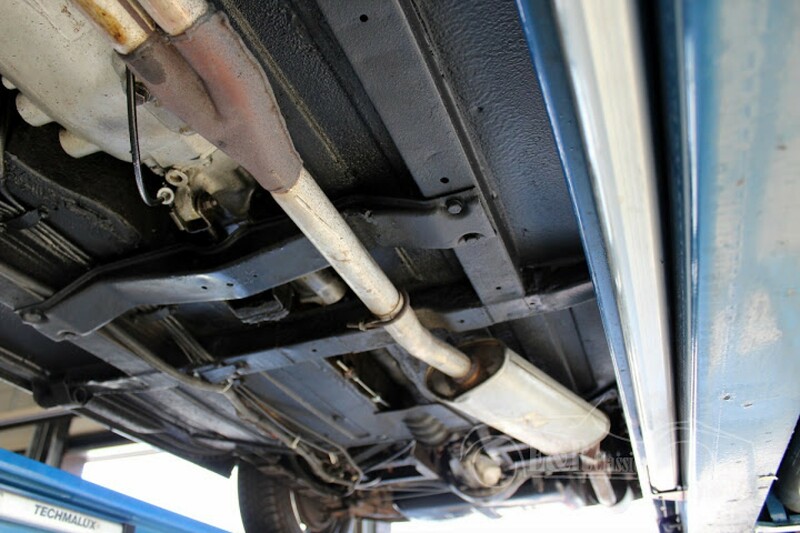 It has very beautiful chrome wire wheels and the nice ‘old style, dashboard of MGB. 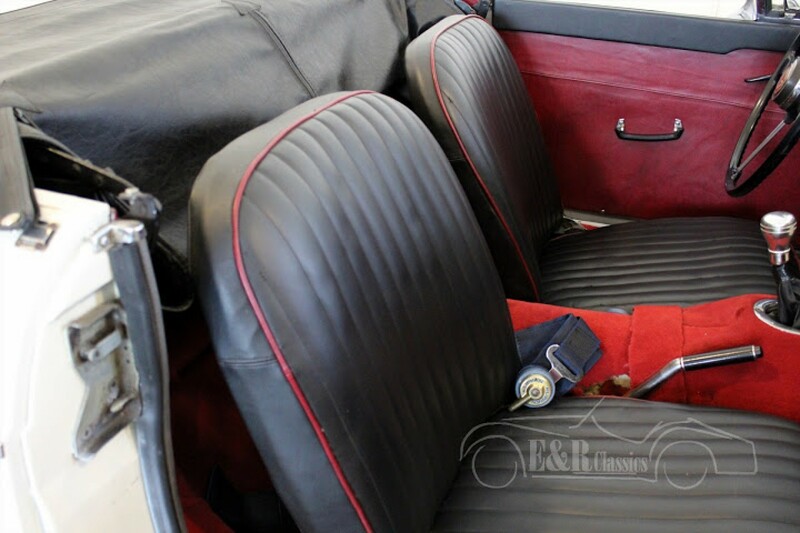 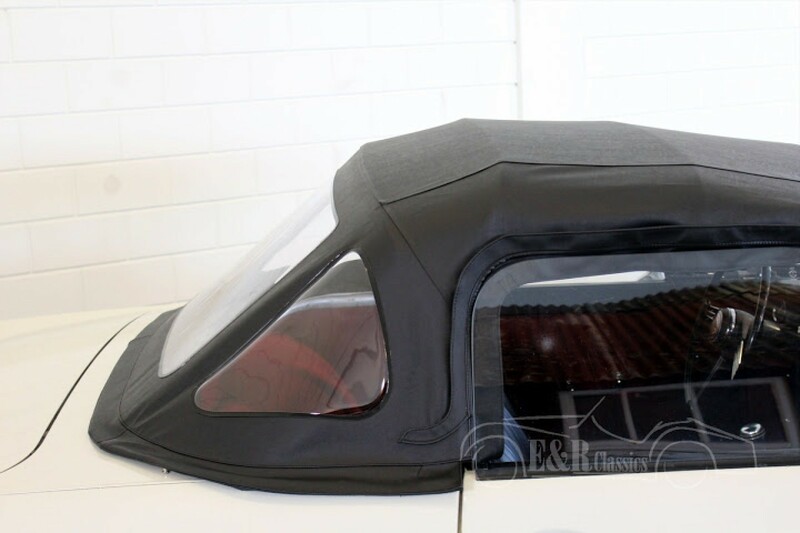 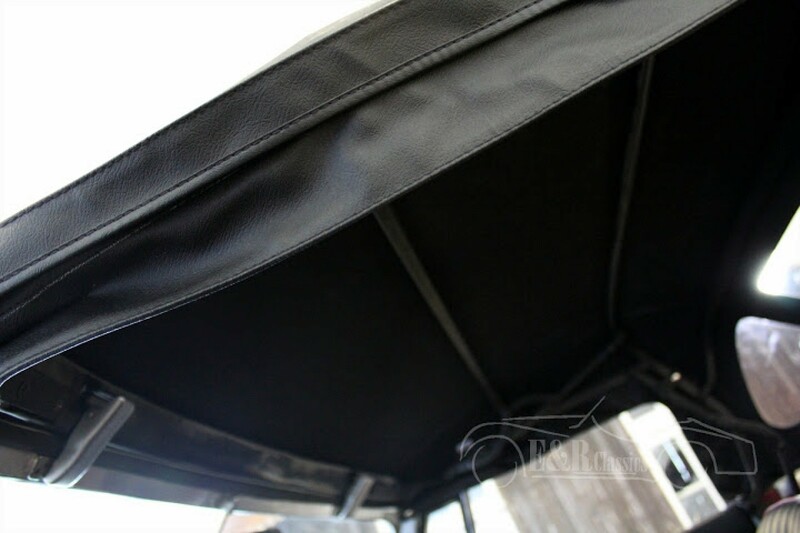 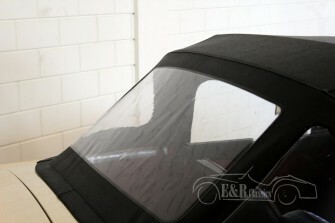 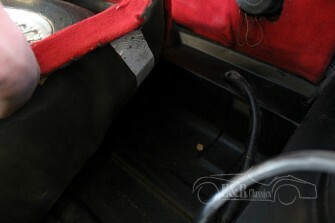 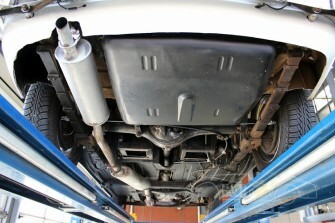 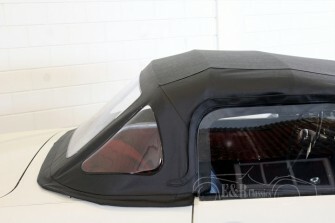 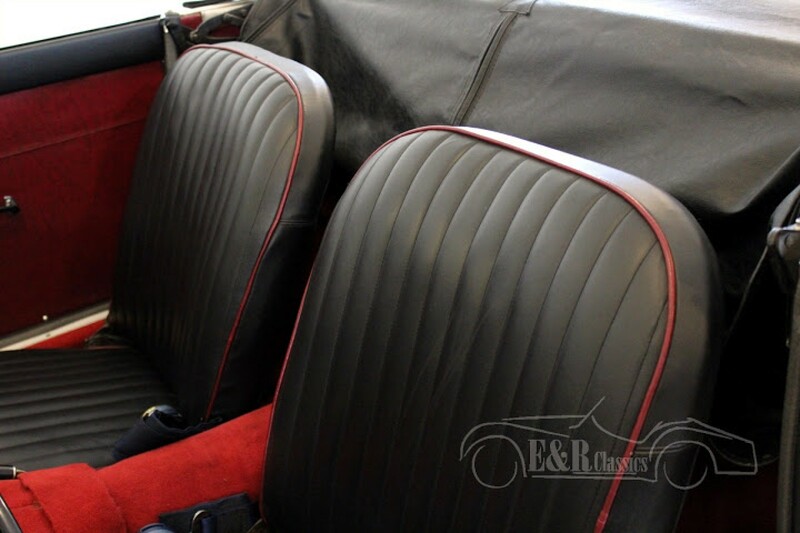 The red carpet and black seats with red piping makes the car look luxurious and sporty.